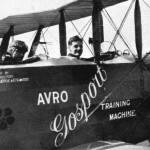 Today in Gosport’s Past:- on 4 April 1886, Robert Raymond Smith-Barry, who has been described as ‘the man who taught the air forces of the world to fly’ was born in Mayfair, London, to James Hugh Smith-Barry (an officer in the Grenadier Guards) and his wife Charlotte Jane, a well-to-do Anglo-Irish couple. Robert was educated at Eton, and later at Trinity College, Cambridge. He didn’t achieve a degree, and his own ideas on ‘what he was going to be when he grew up’ apparently included becoming a classical pianist.After leaving Eton, however, he joined the Consular Service, being posted to Constantinople in 1909. 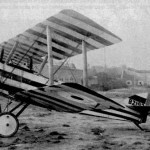 After returning to England, he learnt to fly at the Bristol School at Larkhill, on Salisbury Plain in 1911. 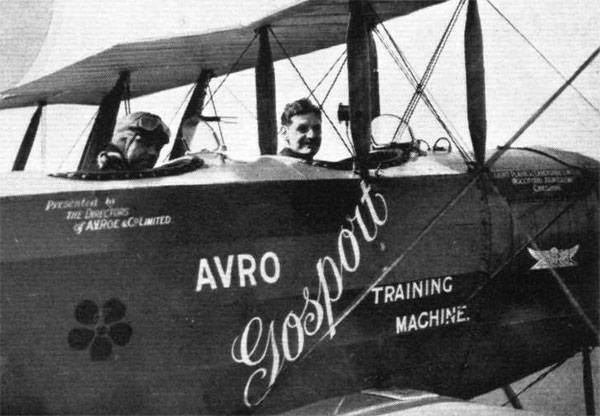 This rather put paid to any musical career plans ; in 1912 he joined the Army, becoming one of the first officers in the Royal Flying Corps, formed in August 1912, and attended the first training course run by the Central Fying School at Upavon, Wiltshire, during which time he broke altitude records by taking Short Tractor Biplane No.413 to a height of 7,000 feet on 28 November 1912. When war broke out on 5 August 1914, he was soon to be in the action, being sent from Grange airfield, Gosport, to France with 5 Squadron, RFC, as a flying officer. 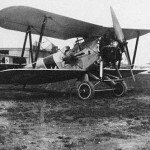 Soon after his arrival, on 14 August, while on operations in France, his Royal Air Factory BE8 No. 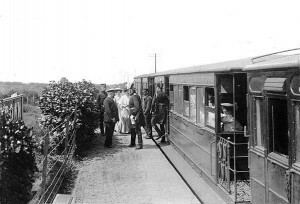 391 stalled and crashed from a height of 60 feet near Peronne, resulting in the death of his observer and causing him to suffer two broken legs and a smashed kneecap. 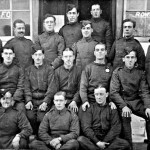 Whilst recieving treatment in a local hospital, the town in which it stood was in imminent danger of being taken over by invading German troops, so he made the decision to make his own way back to England immediately, despite the broken leg. 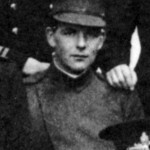 In this he was successful, and following a period of convalescence, he was promoted to Captain in 1915, and posted to 60 Squadron in France as a Flight Commander. He became Commanding Officer of the Squadron between July 1916 and 24 December 1916, during which time he became appalled at the British pilots’ lack of flying skills. This was the time of the Battle of the Somme (July to November 1916), the RFC had lost 499 airmen and 784 aircraft, approximately one-third of its total force. He was deeply concerned that British pilots had recieved only a few (maybe 7) hours flying experience, and only knew the most basic manouvres. 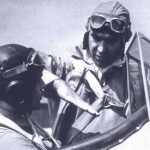 He pushed for a more comprehensive method of training pilots, and his idea was acted upon without argument, together with his suggestion of using the Avro 504K two-seater training plane as being ideal for the purpose. 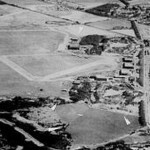 He was ordered back to England post-haste to get on with it, and as a result, the No.1 School of Special Flying was set up at Grange Airfield in Gosport from 23 August 1917, with (temporary) Lieutenant Colonel Smith Barry as commanding officer of 1 (Reserve) Training Squadron. The basic idea was to teach experienced pilots HOW to teach novices to fly – not just takeoff, landing and basics, but how to deal with engine stalls,, spins, crosswinds when landing & takeoff, etc. At Grange, he was given free reign to use his own, rather hair-raising flight methods to teach the learners. 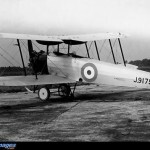 The Avro 504K was the main training type, but others were also used, as he thought that pilots should be able to fly any aircraft. 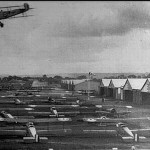 The School of Special Fling at Grange was the first of many, and his methods were taken up by air forces all over the world,, and still form the basic teaching principles of flying even today. 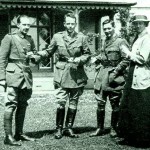 Whilst at grange in 1917/18, Smith-Barry & his wife lived at Alverbank House (not The Alverbank Hotel), and it was largely there that he developed ‘The Gosport Tube’ – something resembling a stethoscope – which fitted over the ears of the trainee (in the front aircraft seat), with the tube coming from a mouthpiece at the trainer’s end. 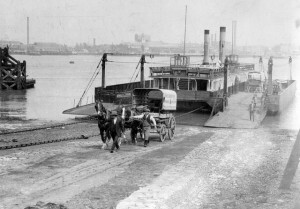 This way, the novice could hear instructions from the trainer without having to stall the engine in order to hear orders, as had previously been the case. 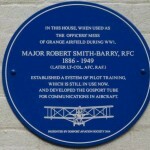 Smith-Barry used Alverbank House as an officers’ mess for Grange Airfield, and would entertain his officers in comparitive luxury; he often played Chopin’s music on the piano for relaxation. 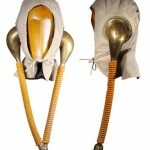 The ‘Gosprt Tube’ was a great success, and this device was also adopted as standard throughout the world; there’s a Blue Plaque on the wall of The Alverbank Hotel which commemorates, in a small way, his achievements. After a few years, the School of Special Flying moved elsewhere, and Smith-Barry, who walked with a limp with the aid of a stick since the crash in 1915, left the services sometime in the early 1920s; during WW2 he rejoined and became a delivery pilot, among other things. 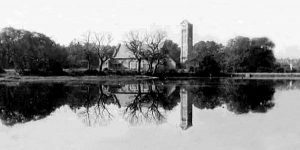 He moved to South Africa, and following an operation on his leg, which had still caused him pain after all those years, he died in Durban on 23 May 1949. His legacy to the world of flying can not be understated – a great man indeed.